It's that time of year to put on floral threads, drink fruity cocktails and shake your bootyful humps to the soul stimulating beat of ska, latin, afrobeat, surf and 60s pop. We have an all star roster of disc jockeys including Eddie (Club FF), Sugar Suk-yuel (Kingston Rudieska), Bombed You (Seoul City Stomp), Airbear (TMI), Baron van West and The Mysterious LEGBA. No club ego here, just good tunes, vinyl records and good times. 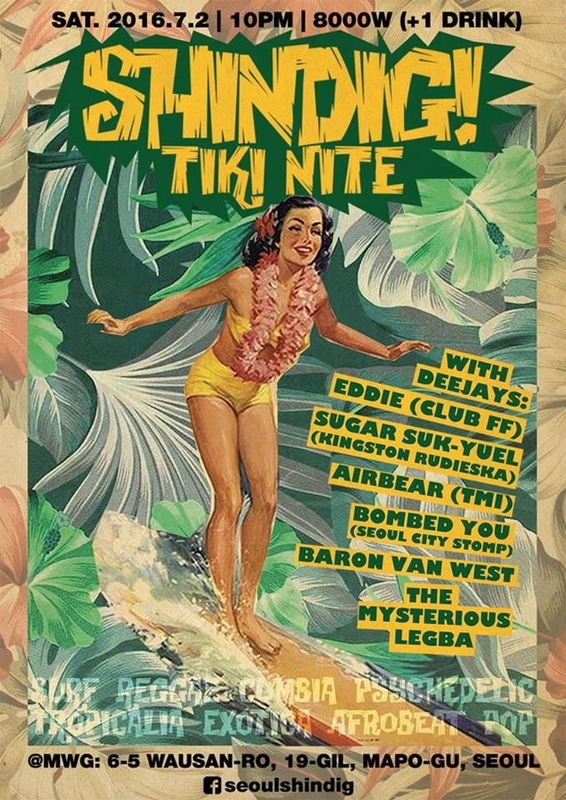 Swing by Club MWG at 10 pm and bring your hawaiian shirts and grass skirts.